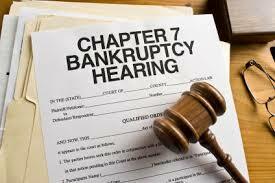 Chapter 7 Bankruptcy is a form of liquidation that will allow you to wipe your debt clean. If you are having trouble paying your debts and are dealing with harassment from creditors and bill collectors, Leslie’s experience as a bankruptcy attorney will make a difference. Chapter 7 Bankruptcy eliminates most of your unsecured debt and is normally suggested for someone with few or zero assets. ‘Unsecured debts’ released by Chapter 7 bankruptcy include credit cards, medical bills, most personal loans, judgments resulting from car accidents and deficiencies on repossessed vehicles and foreclosed homes. Once you have filed for Chapter 7 bankruptcy, creditors are forbidden from calling and harassing you. Your first step before filing bankruptcy should be to speak to an experienced bankruptcy attorney. Your attorney will file a petition with the bankruptcy court in the jurisdiction where you live. Leslie A. Williams will walk you through the process and answer any question you may have. What will I need to file Chapter 7 Bankruptcy? A complete statement of your financial affairs. Leslie knows the ins and outs of Kansas City bankruptcy law, and she can help you find the best solution to get your life back on track. Call Leslie A. Williams today at (816) 533-4331 if you’re looking for a Kansas City Chapter 7 Bankruptcy attorney and you’re ready to start exploring your options.